Written by Rick Wise and posted on April 23, 2011 . It’s not unusual to have canoeists at our clinics or on Horizons trips. They’re good people and I enjoy stretching out on a rock and listening to their tales of flat and whitewater travel. They tell me about their canvas and cedar strip craft, their loops through northern inland lakes, and the team work needed to negotiate a level 3 rapid without a dump. But after a little time out with us they start to get why sea kayaking is a great way to go as well. And to be honest, my favourite way. – Kayaks get you out onto bigger water. 3 metre swell on a Great Lake or off an ocean coastline anyone? – Then back into the shallows where you can dash between islands and discover hidden coves. – No portaging needed although fibreglass kayaks are lighter than many canoes. – Safe storage in the front and back hatches. No food hanging usually required. – More stable craft since the centre of gravity is lower. – Easier to get back into if you tip. And a good roll will save you altogether. – Lower free board means less windage. In other words, you don’t blown about so badly. 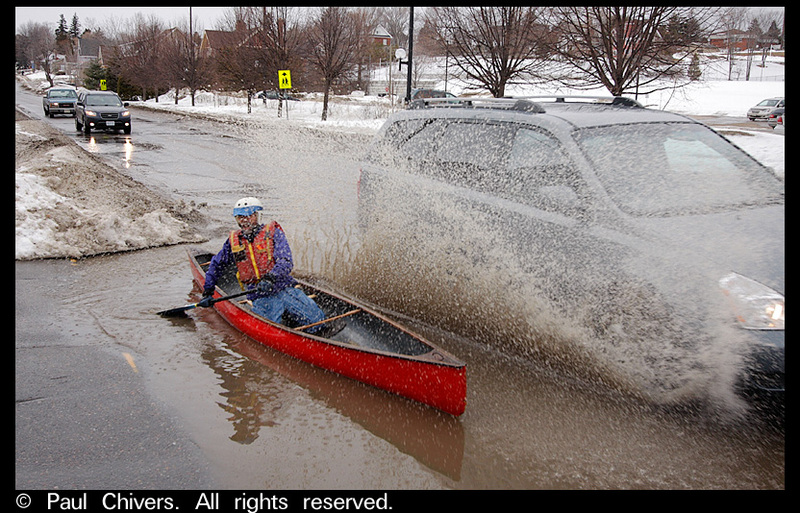 – Sea kayaks are either single or tandem cockpit but, unlike canoeing, paddling solo means you have tons of power. And who among us doesn’t like to steer our own course and enjoy our own thoughts once in awhile? But that’s mostly practical stuff. See my “why I love kayaking” post for the real deal! Perhaps it’s the difference between tea and coffee drinkers? I appreciate the occasional earl grey, but a cup of java is what gets me going in the morning. Extremely knowledgeable and well organized guide. We felt at ease with Rick’s complete knowledge of the area.